UGLI is the trademark name under which Cabel Hall Citrus Limited, headquartered in George Town, Grand Cayman, in the Cayman Islands, sells their Jamaican tangelo. A suspicion that the name represents a variant spelling of the adjective “ugly” is not at all unfounded. With a minor spelling change, the name persists to this day. Additionally, there are at least three other names by which the fruit commonly is known. One is the Jamaican tangelo. Another is “Unique Fruit” or “Uniq Fruit.” The latter is the trademark name under which Brook Tropicals, LLC, headquartered in Homestead in Florida's southeastern county of Miami-Dade, sells the Jamaican tangelo. Still another is the binomial scientific name of Citrus reticulata x C. paradisi. The letter x in the scientific, Latin or botanical name points to the suspected hybrid origins of the Jamaican tangelo. The word hybrid traces back to the Latin word hybrida, for “the offspring of a tame sow and wild boar” or “the offspring of a freeman and slave.” In the botanical context, the term refers to the offspring of the accidental or deliberate breeding of plants from different taxa (Greek: τάξις, taxis, “arrangement”), or biological units in which groups are linked by similar characteristics. Indeed, business people, enthusiasts, researchers and scientists tend to agree on a hybrid origin of the UGLI fruit. But there is some disagreement as to the suspected parents. For example, Cabel Hall’s website identifies the grapefruit (C. x paradisi), the Seville orange (C. x aurantium) and the tangerine (C. x tangerina). The role of the tangerine is the least controversial. But the other two slots variously are filled by the lemon (C. x limon), the mandarin orange (C. reticulata), the pomelo (C. maxima), and the sweet orange (C. x sinensis). Jamaican watercolorist Henry Queensborough Levy found UGLIs in 1914 in area of Citrus x aurantium ("Seville sweet oranges" in Jamaica) and mandarin oranges, but no grapefruits (Webber, p. 651). 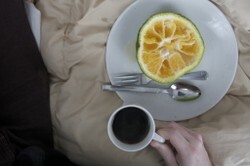 Of unknown parentage, Jamaican tangelos may possibly derive from chance seedling of grapefruits with mandarin oranges. The date of the fruit’s discovery is almost as controversial as the fruit’s parentage. For example, any one of the years between 1914 and 1917 inclusive may be encountered during an Internet search. In contrast, Cabel Hall maintains that the fortuitous discovery took place in 1924. Nevertheless, the identity of the discoverer appears to be one detail upon which all sources actually can reach agreement: F.G. Sharp or Sharpe. Specifically, the Sharp/Sharpe family moved from Britain to Jamaica in the late nineteenth century. F.G. Sharpe’s occupation was listed as attorney to L.A. Isaacs, the owner of Trout Hall Estate, in an inventory of the island’s banana and coconut plantations in 1906 to 1907. The estate was, and still is, located on the south side of the island, at upper Clarendon Parish in Middlesex County. On an island that is known for its bauxite deposits, the Sharp/Sharpe family estate is known for its cultivation of grapefruits, lemons, limes, oranges and tangerines. In fact, its orange juice is a popular island brand, and its oranges are the reason why the parish capital of May Pen is an important citrus packing center. Attorney Sharpe is credited with discovering a citrus tree bearing peculiarly shaped fruits in a pasture near Brown’s Town during a survey of the estate. But it is his son, G.G.R. Sharpe, who developed the research arm of the family business by experimenting with the best combination of budwood and rootstock. He developed the export arm by shipping to Canada and England in 1934 and to New York City in 1942. According to watercolorist Henry Queensborough Levy (died 1957), the name of Harry orange initially was bestowed by F.G. Sharpe upon the unusual fruits. Nevertheless, in Canada these quirky fruits were called Ugly fruits. Subsequently, UGLI was settled upon as the trade name (H.J. Webber, The Citrus Industry , Volume I, page 651). Also near Brown's Town UGLI® fruit was discovered growing wild. Where does an UGLI fruit grow? Jamaica is the main growing area of the UGLI fruit. But there are reports of attempted cultivation of the Jamaican tangelo elsewhere, outside the island. For example, the UGLI fruit may be growing in such diverse areas as Australia, Brazil, New Zealand, South Africa and the United States of America. In terms of the United States, the fruit appears to be able to survive in predictable areas such as Riverside, California and Winter Haven, Florida as well as unpredictable areas such as Michigan and Lake Placid, New York. In the two latter, northerly locations, survival is predicated upon particular attention to year-round protection from watering extremes as well as to cold weather frosts and freezing temperatures. Of the two former, southerly locations, successful adaptations characterize the Riverside trees whereas those in Winter Haven are not considered so fortunate. Specifically, in California the tree was a popular choice for its luscious fruit and landscape ornamentation in home gardens as of the 1950s. Its rootstock was on the list for lemon tree scions. Citrus Experiment Station's Citrus Variety Collection has grown from 500 species to 900 and has 3 listings for UGLI tangelos (CRC 2780, 4127, 4171). What does an UGLI fruit tree need to grow? The Jamaican tangelo tree is not comfortable whenever temperatures drop below 50 degrees F (10 degrees C) and the ground freezes. It requires protections any time that cold, drying, strong winds, freezing weather conditions and hard winter frosts cause temperatures to plummet. These protections include ground blankets as well as sacking staked to cover from the canopy, or top, down to the trunk/root flare, or transition zone between trunk and root system. It will freeze at 27 to 28 degrees F (-2.77 to -2.22 degrees C). As a container or house plant, it most likely will need to be moved inside between October and May. The Jamaican tangelo tree tends to handle the exposure best from a southerly or southeasterly location at which it is protected from drying northwesterly cold fronts. The soil in which the Jamaican tangelo tree grows must not be allowed to dry out. The top six inches (15.24 centimeters) needs to be just moist enough so that specks of dirt will cling to a ruler, sharp instrument or soil probe plunged into the soil. The tree most likely will require irrigation or supplemental irrigation just once every 7 to 10 days except during first growth, extended drought or environmental stress. The Jamaican tangelo tree cannot handle standing water, surface pooling or waterlogging. Too high of a soil moisture level encourages the foot and root rot to which the tree is susceptible. Additionally, drainage needs to be monitored for salt accumulation, which interferes with water intake by the roots. Detrimental to plant growth, hardened calcium carbonate deposits, known as caliche, obstruct available space and impede water and nutrient supplies. 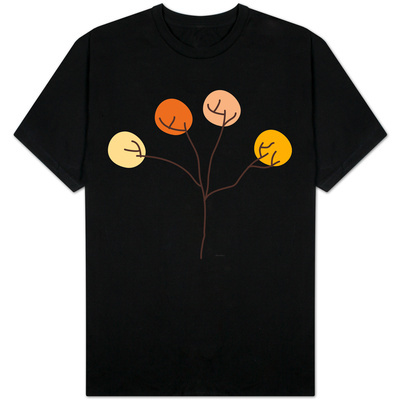 The Jamaican tangelo tree is more likely to flourish in loamy souls, such as those in which it first was found growing. It therefore prefers a medium textured loam. The reason lies in loam, as a soil made up of 10% sand and 40% each of clay and silt, controlling moisture levels, draining well and having fertile, organic matter. It will not thrive in soils characterized by leaching of minerals; iron deficiency, which yellows young leaves; or by the accumulation of salts or of caliche, which is hardened calcium carbonate. Compost mulch is an excellent source of nutrients for the soil, the soil food web and tree roots. But in the case of the Jamaican tangelo, it must be applied no closer than one foot (30.48 centimeters) away from the tree flair and trunk and no thicker than 2 inches (5.08 centimeters). It must be applied on bare soil, and any ground cover such as lawn grass must be no closer than the far side of the tree canopy’s drip line, which is the imaginary connection of the points formed by the shadow of the longest branches on the ground. Otherwise, compost mulch’s ability to hold in moisture may cause the soil to be too moist for sensitive Jamaican tangelo tree roots. The Jamaican tangelo tends not to need a regular pruning schedule. In fact, any pruning should be done only on dry wood, just above a bud, at a 45 degree angle away from the bud, and after the last harvest. It best is done only in the case of the “rule of the D’s” of Damage, Death/ Decay/ Dying, Disease, or the Distress of inadequate air circulation and light exposure throughout the tree’s dense foliage. The Jamaican tangelo tree may be propagated by budded rootstock or by seed. The former is more common because the most desirable fruiting varieties do better when their buds are grafted onto rootstock that is selected for alkaline/saline soil adaptability, disease resistance or mature size restriction. A disadvantage is budded rootstock's tendency to be less cold hardy than seedlings. Nevertheless,this drawback is minor in comparison to challenges with growing seedlings. For example, seedlings are as unlikely to resemble their parentage as they are likely to develop foot and root rot, grow thorns and produce seedy fruit. Additionally, budded rootstock generally bears viable fruit the second year after planting whereas seedlings may not fruit for 10 years. What does an UGLI fruit tree look like? The Jamaican tangelo tree may mature to a height of 15 to 20 feet (4.57 to 6.09 meters). The reddish brown trunk grows upright to form a compact, dense, rounded crown of upward and outward sweeping reddish brown branches of dense evergreen foliage. The branches nevertheless may reach for the ground under the weight of the tree in full fruit. They may cause the tree’s profile to be at least half the tree’s height. The close ratio of width to height hints at the underground configurations taken by the tree's shallow, spreading roots which have specific spatial demands to be met in order not to heave. Specifically, a tree that is almost as wide as it is tall may have a root system that takes up an underground space about 2-3 times that of the tree's mature height. The dense foliage is a bright, glossy green. The individual leaves are elongated, narrow, of smooth texture and with pointed tips and a subtle citrus scent. They never leave the tree bare since the evergreen foliage is replaced in subtly progressive stages between every second and third year of tree life. The flowers are a bright, clean, clear white whose center is delicate yellow and which cluster into groups of 6 to 12. Atypical of Citrus genus members, but typical of its grapefruit parentage, the Jamaican tangelo flower has four petals, which are reminiscent of a star when open and of a tulip when closed. The buds form in early winter and develop throughout late winter and early spring, for a beautiful, fragrant mid-spring display. But only about 1 percent of the blooms will form into fruit since moisture and temperature levels have to be met precisely in order to discourage flowers from dropping off their branches and to encourage them to fruit. The Jamaican tangelo flower is considered complete since it has all the parts necessary for self-fertilization. The attractive, fragrant flower nevertheless attracts pollinating insects, such as bees. The fruit develops with or without the presence of pollinators. But it additionally develops seed and viable pollen only with the participation of pollinator insects. The fruit may be 4-1/4 to 6 inches (10.8 to 15 centimeters) wide and 3-1/4 to 4-1/2 inches (8.25 to 11.5 centimeters) high. It may weigh as much as 2 pounds (0.90 kilograms). Its albedo, or peel/rind/skin, has a fragrance similar to that of citron (Citrus medica). The leathery, thick peel may be dented, discolored, distorted and potmarked. It may look and feel bumpy, lumpy and rough. The surface blemishes are no indication of the fruit’s inner qualities. The same may be said of the peel’s color, which may be green, orange and/or yellow. The only connection between the externals and the internals is the following in terms of the Jamaican tangelo: blemishes become more orange and the surface feels springier, as well as heavier than expected, with ripening. The flesh may be slightly pink to light orange or apricot to colorless. It is divided into 12 segments whose membranous walls feel papery and look thick. As much juice can be squeezed from the flesh as the liquid in a small coconut. Both the flesh and the juice are likened to a tangibly sweet and sour combination of grapefruit, orange and tangerine with a dash of lemon. UGLI fruit should be washed with warm water just before being served. It should be cut downward from its short, stubby, brown partial stem to its teardrop shaped blossom bottom. Otherwise, it can be left on the counter for five days at room temperature or stored in the refrigerator produce drawer for 1 to 3 weeks. UGLI fruit flesh tends to have just a few seeds, at the rate of 0 to 3 per pulpy segment. The color always is white, the shape elliptical and the size around one-half inch (1.27 centimeters). UGLI® fruit, properly labeled as "Produce of Jamaica"
How do you have your UGLI and eat it too? Fyffes BV in Rotterdam, Holland for Austria, Belgium, Germany, Italy, Luxembourg, Netherlands, and the countries of Scandinavia and Eastern Europe. What is the use of an UGLI fruit? Desserts: Cold soufflé, Fresh fruit cocktail, Kirsch or sherry drizzled fresh sections, UGLI fruit and lime ice cream, UGLI fruit topped cheesecake. In fact, the UGLI fruit may substitute for such other citrus fruits as grapefruit, lemon, and pomelo. For example, it responds particularly well to baking. But it loses its flavor and lurks as more of a flavor enhancer when barbecued, boiled, broiled, cooked, fried or grilled. On Jamaica, the UGLI fruit tends to be used as a beverage or as a dessert. In fact, a Jamaican favorite is baking the entire fruit in hot cinders. The fruit then is served hot, sliced and sweetened with sugar. But whether served fresh or processed, the UGLI fruit always can be counted on to deliver a beautifully unique mouthful of flavor and nutrition. In fact, one-half portion of an UGLI fruit contains no more than 45 calories. It delivers antioxidant flavonoids, calcium, dietary fiber, folate, iron, protein and vitamin A with each bite. It is as brimming with vitamin C as it is completely lacking in cholesterol, fat and sodium. Finally, it serves as a tartly sweet and sour alternative to those who must avoid grapefruit and grapefruit juice: UGLI fruit has absolutely no furanocoumarins, or plant toxins, to get in the way of the body chemistry of those who are prone to kidney stones, take certain medications or undergo hormone therapy. An UGLI fruit’s unique beauty truly goes way further than skin deep. "Ugli on the outside, lovely on the inside"
Cassidy, F.G. (Frederick Gomes), and R.B. (Robert Brook), Le Page, eds. Dictionary of Jamaican English. 2nd ed. Kingston: University of the West Indies Press, 2002. Ford, Joseph C. and A.A.C. Finlay, comps. The Handbook of Jamaica for 1906, comprising historical, statistical and general infromation concerning the island. London, England: Edward Stanford; Kingston, Jamaica: Government Printing Office, 1906. Hodgson, R.W. 1967. Horticultural varieties of Citrus. In: Reuther, W., H.J. Webber, and L.D. Batchelor (eds.). The Citrus Industry. Vol. I: History, World Distribution, Botany, and Varieties. Berkeley: University of California Press, 1967. Morton, Julia F. “Tangelo Citrus paradisi x Citrus reticulata.” Pages 158-160. In: Morton, Julia F. Fruits of Warm Climates. Miami, FL, 1987. Small, Ernest. Top 100 Food Plants: The World’s Most Important Culinary Crops. Ottawa, Ontario, Canada: Monograph Publishing Program, NRC Research Press, National Research Council of Canada, 2009. Swingle, W.T. and P.C. Reece. The botany of Citrus and its wild relatives. In: Reuther, W., H.J. Webber, and L.D. Batchelor (eds.). The Citrus industry. Vol. I: History, World Distribution, Botany, and Varieties. Berkeley: University of California, Riverside, 1967. “Ugli.” Citrus Resource > Citrus ID > Fact Sheets. 2011. Webber, Herbert John, and Leon Dexter Batchelor, eds. The Citrus Industry. Volume I: History, Botany, and Breeding. Berkeley and Los Angeles: University of California Press, 1948. 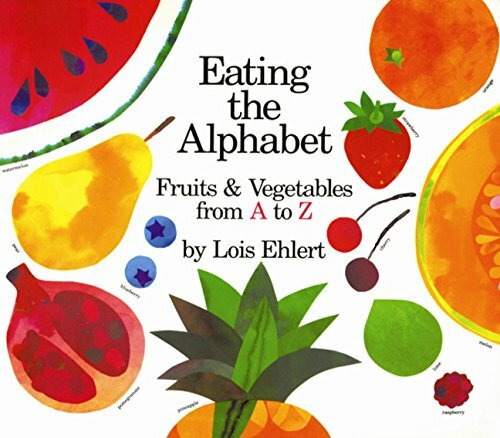 Eating the Alphabet: teaches upper- and lowercase letters to preschoolers; introduces fruits (such as UGLI®) and vegetables from around the world. "Every kind of food has its story." 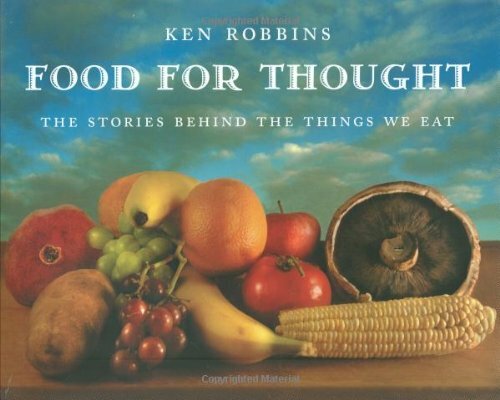 Acclaimed photographer Ken Robbins guides us through the history, mythology, and literary significance of food. VioletRose, Grapefruits are delicious, healthy, and refreshing. I hope that you have a chance to try them one of these days! I have never heard of this fruit before, I would like to try it sometime. AbbyFitz, You can't judge an UGLI by its skin! They're generally available between December and May; sometimes between July and September, weather permitting. I hope that they show up in stores in your area so you can give them a try. They are delicious. Well they live up to their name. I haven't seen them in stores here. They'd be nice to try.